Kristen K. Harper, M.Ed., LCDC, is the Executive Director of Recovery Communities of North Carolina, a nonprofit devoted the promotion of addiction recovery, wellness and citizenship through advocacy, education and support in the beautiful state of North Carolina. Prior to Kristen joining the team in North Carolina, she had the great fortune to be the first, full-time Executive Director for the Association of Recovery Schools (ARS), where she assisted in the creation, sustainability and accreditation of recovery high schools across the country. As the Collegiate Recovery Community Replication Coordinator for Texas Tech University's Center for the Study of Addiction and Recovery from 2011-2013, Kristen provided technical assistance to over 80 universities seeking to create and manage collegiate recovery programs in all regions of the country. Kristen also founded the Center for Addiction Recovery at Georgia Southern University in 2008 within the College of Public Health, where she also became involved with Recovery Africa, a nongovernmental organization who strives to create recovery supports to communities in Africa. 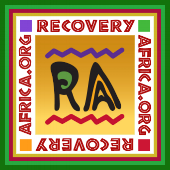 Kristen has been to Ghana, West Africa three times to provide technical assistance to the emerging recovery community. As a person living in long-term recovery for over 15 years, Kristen has dedicated her life to helping others access recovery support services, locally, nationally and internationally.